Karbonn has come up with the smartest and most fabulous tablets in the Smart Tab series and it is called the Smart Tab 7. This Tablet is all the more sleek, great to work and amazing in the overall looks too. The Smart Tablet from Karbonn brings all the difference in style and working. If you are serious about fun and entertainment while you are traveling, Karbonn Smart Tab 7 is definitely for you to get around with. The tablet is rugged and durable and all the more, value for your money. Anther quite important thing to consider about your Karbonn Smart Tab 7 is that it comes with 3D G-sensor and this eventually renders a smooth gaming. The + 3G feature along with USB Dongle connectivity makes it easy for the data transfers. 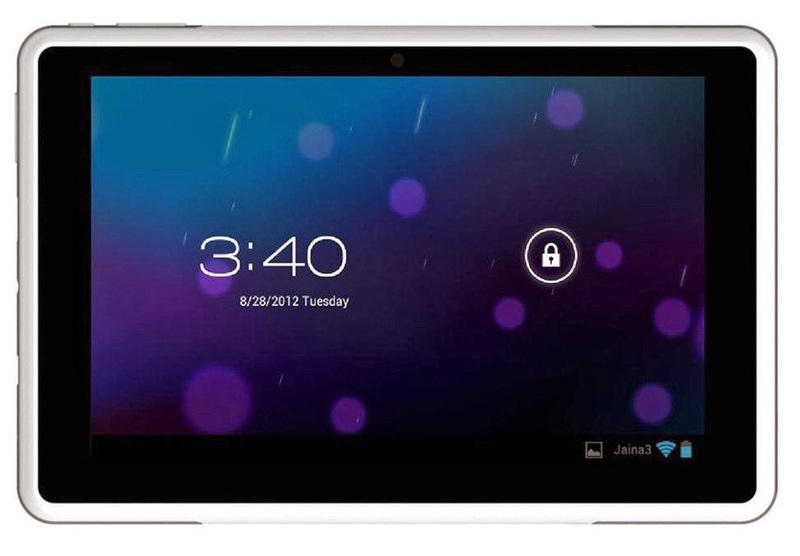 The tablet is worth buying if you are looking for a low cost but better communication device. However, there are some misses too in the Karbonn Smart Tab 7 too. The first miss out here is that tablet is not provided with the rear camera, though it is loaded with 2MP front camera for Video calling. This tablet also lacks the SIM card slot and therefore does not have the voice calling feature. Leaving apart these missing points, the Smart Tab 7 is certainly worthy of buying and it really gives smart and real time features to get around with. You will never have to think twice as far as reliable communication is concerned. The features and specification of Karbonn Smart Tab 7 includes Android v4.0.3 (Ice Cream Sandwich), 3D G-sensor for better gaming experience, 9-inch WVGA, Capacitive Screen, 800*480 resolution, 1.2 GHz Cortex A9 Processor, 2.0 Mega Pixel (Front), 32 GB expandable memory, support for the Wi-Fi connection, 3700 mAh Battery, 3G network support using the USB dongle, Google Play Support and many more. There is no SIM card slot. Karbonn Smart Tab 7 is not just a tablet, but it sis complete technological revolution that have paved the way to seamless communication right in the hands of the user.Even if you do not know the operations of Karbonn Smart Tab 7, still, you can use it through the hit and trial methods. If you are serious to buy the Karbonn Smart Tab 7, go for a little of shopping and comparison activity. In this way, you will not only come across the updated prices, but also come to know what is missing and what is there in the tablet. It would indeed be a great idea to opt for the online shopping in India as this would lend you better options to meet your purpose.Check for the latest Karbonn Smart Tab 7 tablets price at the online store. About Author:Piya Gogia is a well known author and has written articles on Reliance 3G Tab V9A, Samsung Galaxy Note 800, Ubislate 7 tablet and many other subjects.